I consider Nidhogg one of the must-own local multiplayer games for anyone who might ever find themselves in a position to play games with friends. It was always a dream of mine to play the original, as it wasn't available for purchase for quite some time. Then, when it finally released, it was everything I wanted it to be. I was surprised to see that a sequel was announced, especially with a, well, divisive art style accompanying it. I was immediately interested to see how they would improve the original formula to justify a new game. After playing, not too much has changed from the original, but I suppose that's not necessarily a bad thing. 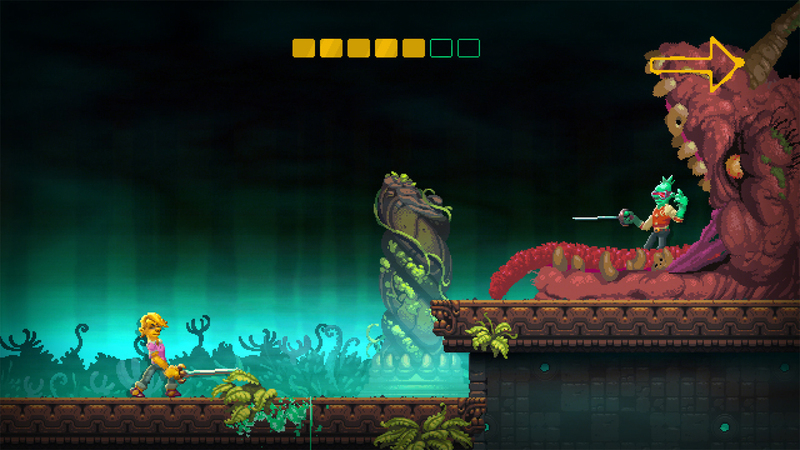 If you've played the original Nidhogg, you'll feel right at home playing the sequel. The gameplay is effectively unchanged: Kill your opponent and run towards their side of the screen until you reach the final screen and get eaten by the Nidhogg. Both players start with a weapon and can hold it in three positions (high, medium, and low) or choose to throw it as a projectile. It's also possible to jump, divekick, slide kick, or sweep the leg in order to create or close space and potentially beat the opponent to death. 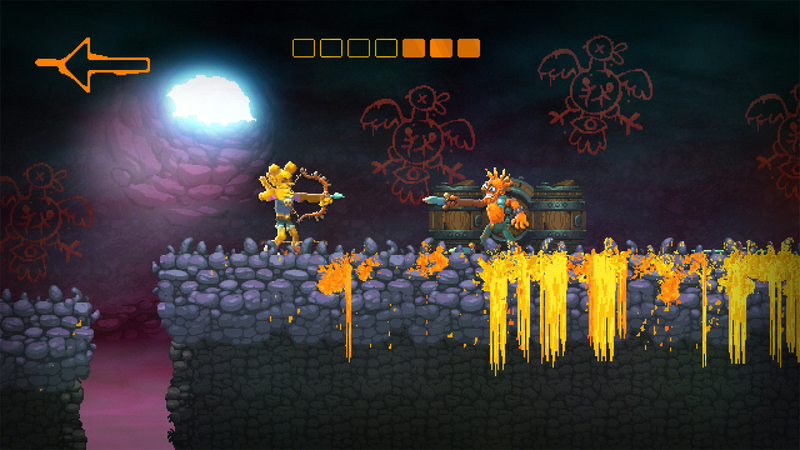 In Nidhogg 2, it's all about possessing "the arrow." After someone gets killed, the killer gets the arrow indicating they can move on to the next screen. The killed player will soon respawn ahead in between the player with the arrow and the next screen in an attempt to kill them and take possession of the arrow for themselves. It's an intricate game of tug-of-war and is consistently exciting. There is a ton of strategy involved in every aspect of a match. Moving a weapon from one elevation to another while coming in contact with the enemy's weapon will disarm them, throwing their weapon to the ground. Similarly, holding a weapon at its highest can block thrown weapons from decapitating you, making positioning of both your character and their weapon of the utmost importance. This is a game about reading your opponent's moves and taking advantage of their mistakes with precision. The biggest change from the original is the addition of new weapon types. On top of the classic fencing stick, there is a dagger, broadsword, and bow and arrow. When playing locally, special options can be set to disable or enable any or all of these, in case they don't float your boat. Each weapon comes with a different playstyle and it takes some time to get used to how each one is different. The bow and arrow weapon is easily the biggest departure from the rest as it only fires projectiles. Arrows can be fired at the same three elevations of the other weapons; the weapons themselves can block arrows if they come in contact with them. The broadsword cannot be held at the middle elevation, but swings in a wide arc and is very good at disarming an opponent and scoring kills. The dagger is a throwing dagger and has pitiful range when actually trying to fight with it. In fact, I found myself impaling myself on my opponent's weapon when even trying to melee with it. The addition of these weapon types definitely shakes things up. Depending on what weapon you spawn with influences your playstyle dramatically. Some weapons feel at a disadvantage towards others (dagger against a fencer, for example), but a player who uses all the tools available to them will ultimately succeed despite the weapon given. Using the divekick, sliding kick, or weapon throw is crucial for gaining and keeping possession of the arrow. Another large addition comes from the new maps. Perhaps the biggest downfall of the first Nidhogg was the paltry selection of maps. There are now ten maps, and I love each and every one of them. Some have more gaps than others, things to stand on top of, or moving floors, but each one feels unique and exciting. This is largely due to the aesthetic. The visuals and music for each level are wonderful. In fact, the music overall is worthy of my highest praise. Seriously, pick up the game and soundtrack combo on Steam because it is absolutely worth it. There isn't much here to entertain those who don't regularly entertain others in their home. The arcade mode can be completed in under 20 minutes (and there is an achievement for doing so), which only leaves online play. Even with a concerted effort to improve the awful netcode from the first game, playing online just isn't the same as playing locally, and much of the magic that comes from instant vocal reactions is lost. 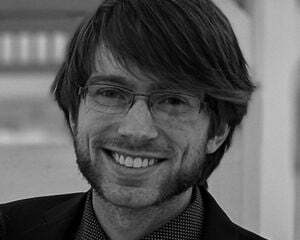 Of course there is local play for a quick match between two people or a tournament for up to eight. The graphics have drawn a good amount of ire since their reveal, and I can completely see where it comes from. While I can't say I'm the biggest fan of the design of the characters themselves, I have slowly fallen in love with the art style. The stages, in particular, look amazing in motion, and the characters are weird enough to feel charming. 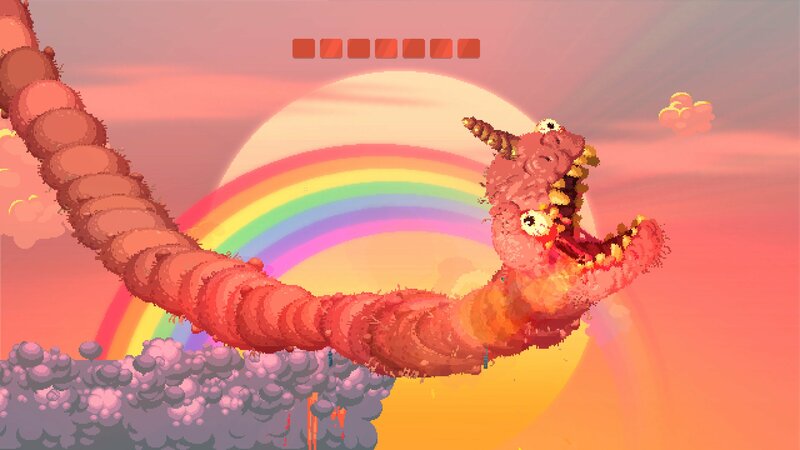 Toby Dixon has done a great job of making a murderous game about being eating by a giant worm feel even weirder. 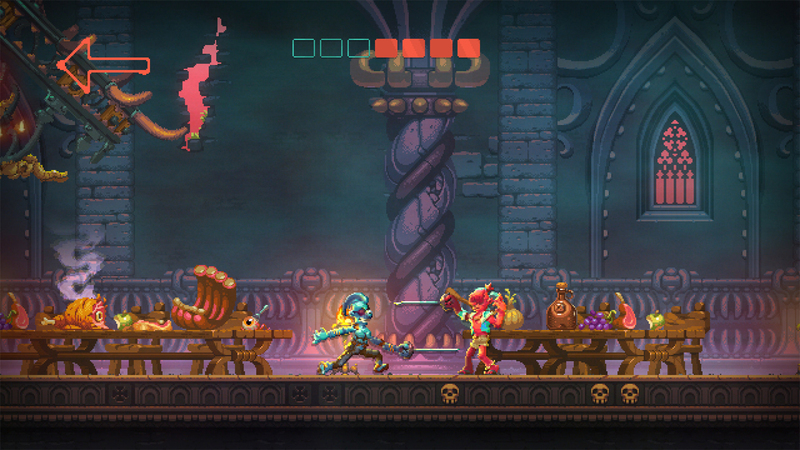 Nidhogg 2 is certainly a different beast than its predecessor, but the final product is in such a weird spot. It's added new maps and amazing music, which alone makes this much more enticing than the original game. The core gameplay is the same but with new weapons that add a layer of strategy, but can also be turned off to have a more "core Nidhogg" experience. But if you're going to turn off the new weapons, it just leaves the new maps as the only gameplay additions, which could make Nidhogg 2 a hard sell to some. All that being said, it's easy to suggest Nidhogg 2 on its own merits. It has expanded on the wonderful mechanics of the original and has one of the best soundtracks in recent memory. There isn't much content here for the solo player, but if you've got friends coming over for some friendly competition, the night would not be complete without Nidhogg 2.